There are two levels of TET 1. Primary Level(Class 1 to 5) & 2. Upper Primary Level(Class 6 to 8). Candidates who qualify for paper-I can teach from Class I-V & who qualifies for Paper-II can teach class VI-VIII. Qualified Candidates can teach in any Govt. or Private Schools. For TNTET Exam Syllabus, click the link – TNTET Exam Syllabus. 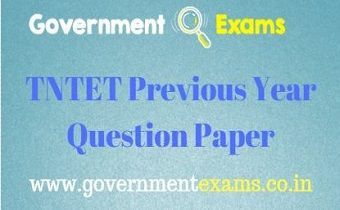 For TNTET Exam Pattern, Check the link – TNTET Question Pattern.